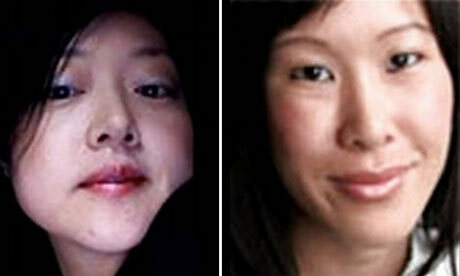 Later tonight, as morning dawns in North Korea, American reporters Laura Ling and Euna Lee go on trial in Pyongyang. They are accused of illegally entering the country on March 17th and of committing unspecified “hostile acts.” They face years of hard labor in the country’s notoriously brutal prison camps if convicted. Warned by the State Department that speaking to the press could complicate diplomatic efforts to free the two Current TV reporters, their families remained silent for months. That changed this week. In a move spurred by fear that Ling and Lee are being caught up in the larger struggle over a nuclear-armed Korean Peninsula and the internal machinations over Kim Jong Il’s successor, the reporters’ families launched a carefully orchestrated media campaign to decouple the fate of their loved ones from the geopolitics of the region. Laura Ling’s sister Lisa Ling, an international correspondent and previous co-host on ABC’s The View, is using her considerable media experience to help. “She has played it very smartly,” says Bob Dietz, Asia Program Director for the Committee to Protect Journalists (CPJ). “She has a media plan, has advisers at the State Department and others outside who can say: How do we play this?” She has even organized a war room where the families can comb through information and determine how best to respond to events as they unfold. The families’ strategy appears to entail speaking directly to the North Korean regime and humanizing the two reporters. A YouTube video shows images of the reporters’ loving families. Laura Ling’s husband read a letter that he received from her on the Today Show (“I’m lonely and scared, but thinking of you gives me strength, you know I can feel you here with me”). In appearances on NBC and CNN, Lisa Ling addressed the North Korean government directly, apologizing profusely on behalf of the two reporters. And the family has finally been able to join the efforts of Facebook activists who are organizing vigils throughout the nation today in advance of the trial. Brendan McShane Creamer is the driving force behind the Facebook-driven vigils. “The first vigil was basically done shot from the hip,” Creamer says. “I was mad that there was virtually no coverage of the story, and since the media was covering Roxanna [Saberi], I thought [a vigil] would be a good way to piggyback on the story.” Aided by posts from the reporters’ families, the Facebook movement has grown. Today vigils are planned in DC, New York, Chicago, Birmingham, Portland (OR), San Francisco, LA, and Sacramento. Bob Dietz of the CPJ feels it could go either way. If an act of magnanimity is perceived as showing Kim Jong Il’s strength, the reporters could be home soon. If it could be interpreted as a sign of weakness, then they could be facing a long jail sentence, he says. One thing is certain. Even if media pressure is not a major factor in North Korea’s calculations, being able to finally talk has been a relief to the family. “We are a family of doers and have felt so helpless,” Lisa Ling said Monday in an interview with Larry King. Time will soon tell if their efforts have paid off. In our July 1 season premiere, WIDE ANGLE presents “Crossing Heaven’s Border,” a film that follows three South Korean journalists as they go underground to document the harrowing flight of North Korean refugees through China, Laos and Thailand to safety in South Korea.